I would like to welcome you to my blog. I am John Pearce, founder and President of International Satellite & Antenna Service in Ocala, Florida. Back in 1982, I was a bartender at the local English dart tavern in Ocala, Florida. Among the unique assortment of individuals that would stop by the tavern for a game of darts was a local engineer name Robert ” Bob” Hooper. “Bob” worked at a company called Mycrodyne Corporation in Silver Spring Shores that designed and manufactured aerospace telemetry receivers. After work, Bob and a co-worker of his, Larry Young were working in their garages on a new type of satellite dish that would replace the large solid fiberglass satellite TV dishes that had been sprouting up in backyards across the county for the past few years. The Satellite TV Dish that they were designing would incorporate a stressed rib design with expanded aluminum mesh panels that would slide into the grove in the ribs. 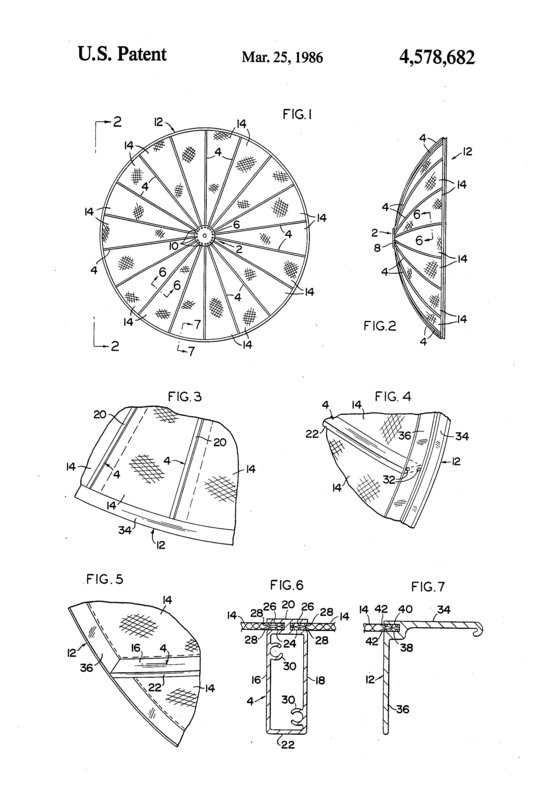 This was revolutionary in the satellite industry as, although there were other mesh dishes on the market, their new dish, the RAYDX dish, incorporated a patented T-Locking grove into the rib that the panels would slide into and they were able to form a more-perfect parabolic shape, thus producing a dish that would consistently deliver a higher gain than any other mesh dish in the marketplace. It wouldn’t be long before the new Raydx dish would have a prestigious 40% market share in this new, emerging industry. Bob’s enthusiasm for his new dish was contagious, and although my background for the preceding 12 years had been in culinary arts, I soon found myself wanting to enter into this exciting new satellite dish industry that was sweeping the nation: the “backyard satellite dish business. Bob and I came up with a plan to develop a company that would sell the Raydx Satellite Dishes to the overseas market. We called this company; International Satellite Export. Although at this time, 1983-84, the home satellite business was thriving in the United States, there was not much of a market in other countries yet due to the lack of satellites and programming availability. Realizing that this situation would change in the coming years, we began working with the U,S Department of Commerce, and were among the first U.S. satellite companies published in their trade development brochure, Commercial News USA. This publication is now called Export USA, and helps American companies find buyers and distributors for their products and services. The print version of the magazine reaches more than a quarter million readers in 178 countries. Raydx had established a satellite dish manufacturing facility in a suburb of Ocala Florida called Silver Springs. The plant was very busy building dishes and they soon designed and began to build a satellite receiver at a new plant in Ocala, Florida. Raydx was booming and International Satellite Export was busy establishing relationships with many distributors and government agencies that were laying the building blocks for offering satellite television to their local residence when the new satellites were launched. In 1985 we set up a booth at the National Satellite Show at the Opryland Hotel in Nashville. Our booth was located next to another up-and-coming company in the satellite dish industry; General Instrument. We had also met with the British Consulate General in Miami, and were in preliminary discussions to open a facility in England for the manufacturing and distribution of dishes and receivers to the European market. The Day The Sky Went Black! Prior to January, 1986, all programming on satellite was “in the clear”, in other words, FREE! This was a very popular benefit for the thousands of homeowners and businesses that had purchased and installed a satellite dish. In January of 1986, HBO began scrambling their signal, and for thousands of dish owners the programs on HBO were no longer viewable. To continue to receive the programming on satellite, dish owners would have to purchase a VideoCypher decoder from General Instrument for about $300, and pay a monthly fee to the programmers if they wanted to continue to receive their services. Fearing that other programmers like ESPN, CNN and others would follow HBO’s lead, satellite dish sales came to grueling stop across the USA. Orders for the Raydx dishes stopped, and it was not long before the banks fearing default, called the notes due. Raydx closed its doors soon afterwards, and, like many US manufactures, the machinery was sold off to a foreign company. During the time I was working on the export company, I bought into a small TV shop in Anthony Florida. In 1983 I began selling, installing and doing repair on satellite dishes around the Ocala area. This business would become what is now my present company, International Satellite & Antenna Service located in Ocala on SR 200 in the Jasmine Plaza. But I will save that story for another post.